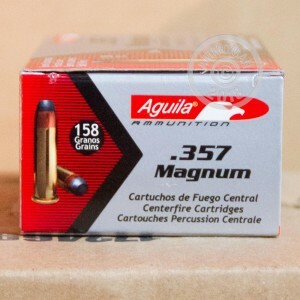 This .357 Magnum ammunition from Aguila uses a semi jacketed soft point bullet ideal for hunting. 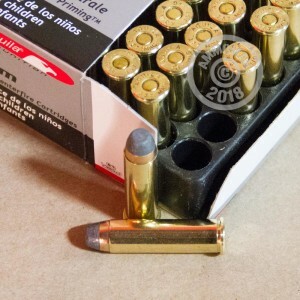 The 158 grain projectile delivers good expansion without excessive fragmentation for quick, clean kills. 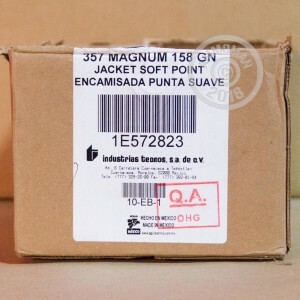 These cartridges come in boxes of 50 and are manufactured by Industrias Tecnos, one of Mexico's top defense contractors and a major ammo exporter. Their "Aguila" (Eagle) brand ammo uses non-corrosive Boxer primers and brass cases. Gear up for the shooting season with affordable ammunition at AmmoMan.com! Place an order today for $99 or more to qualify for free shipping.